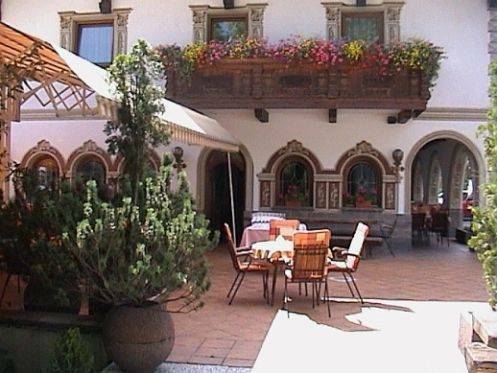 Family run 4-star hotel located in the heart of Tyrol with a magnificent view of the mountains. Innsbruck, the Olympic city and capital of the federal country Tyrol, is at a distance of only 10 km and the Olympic skiing-area Seefeld is 12 km away. Enjoy our delicious cuisine in an elevated atmosphere in our Restaurant (Mondays closed). Our offer reaches from Tyrolese specialities to international dishes. Preparing your meals we pay special attention to freshness and quality of the products used. The right meal calls for the right drink. Our cellar has got quite a lot to offer. Our restaurant is open Tuesday to Sunday 06. 30 until 23. 00. Warm Food is served from 11. 30 - 14. 00 and 18. 00 - 21. 30. Breakfast is served daily from 06. 30 until 10. 00 o'clock. Furthermore Zirl is renown for its Christmas cribs and is the only wine village of Northern Tirol. All our rooms are equipped with bath or shower, toilet, radio, cabletelevision, direct-dial-telephone, room safe, minibar and hairdryer. For the most part our rooms have a balcony. Zirl is situated at a very old trade-route and was already in the Middle Ages an important junction. To the South via the Brenner Pass to Italy, to the North via Seefeld, Garmisch to Munich, to the East via Kufstein to Germany and to the West via the Arlberg pass to Switzerland or Germany. Zirl is located amid a beautiful landscape with a magnificent view of the Tyrolean mountains - enjoy the charming ambiance of our cozy place. 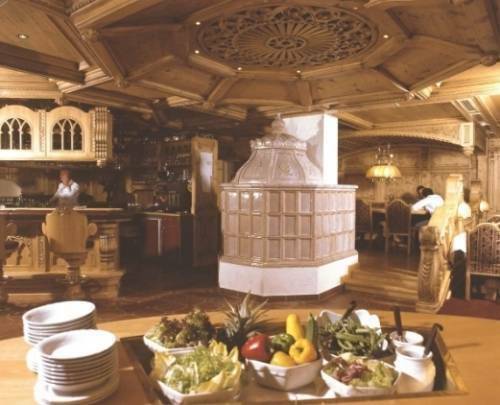 Typical tyrolean as well as international cuisine - on site. Closed on Monday! Restaurant "da Fernando E Anita"
For the guarantee of the reservation we need your credit card number with the expiry date. Modifications or cancellations are possible until 1 day prior to arrival. In the event of a no show or a later cancellation, an amount equivalent to one nights cost of accommodation will be charged. then by taxi or bus to Zirl. Public busses leave almost every 30 minutes.